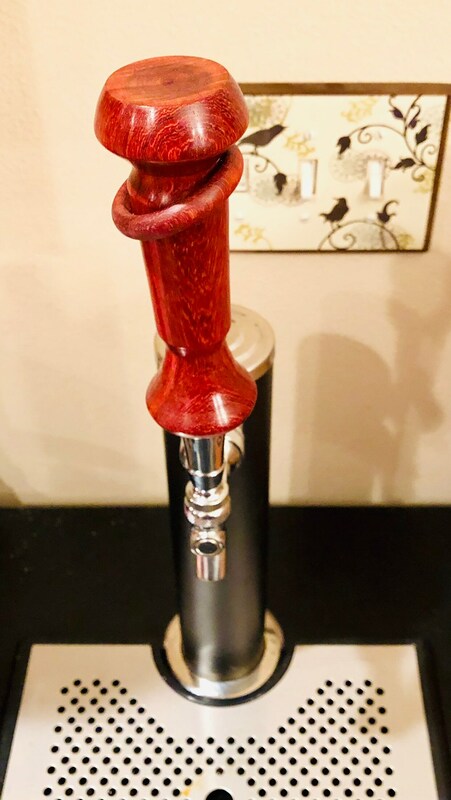 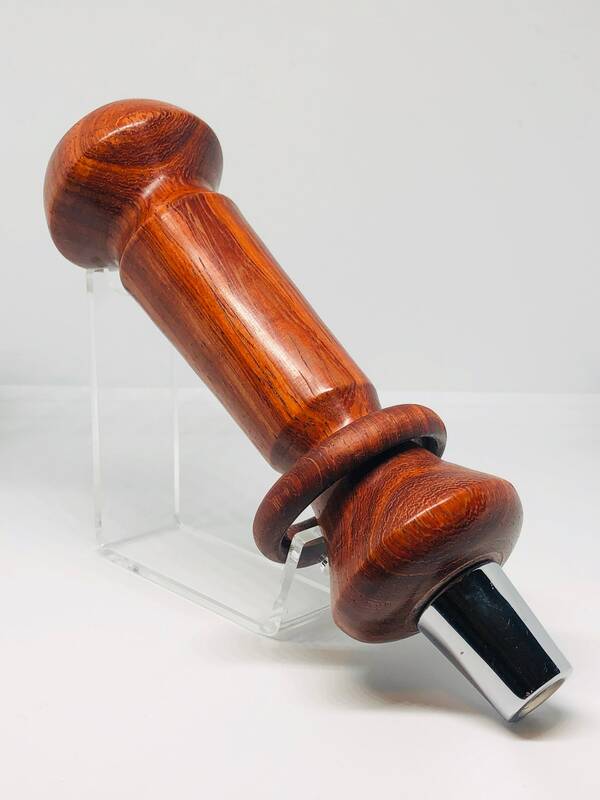 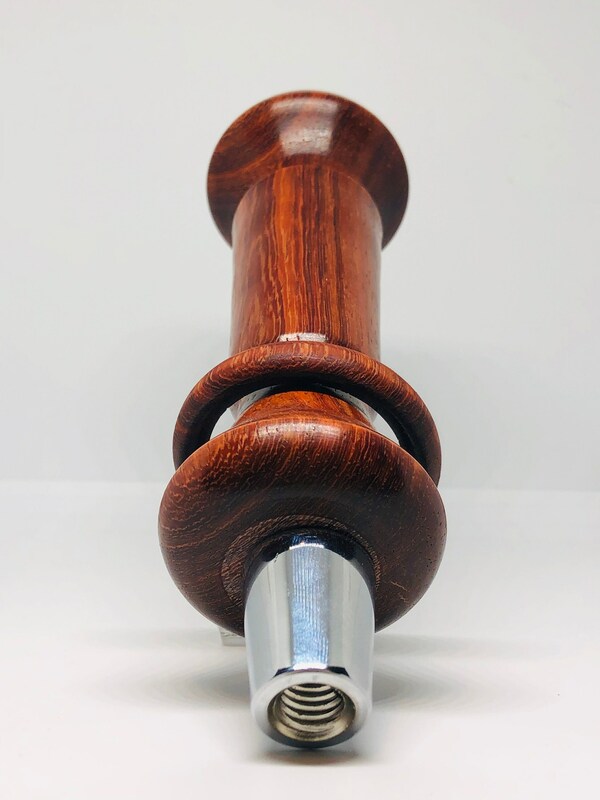 Hand made | African Padauk captive ring | standard| beer | tap handle. 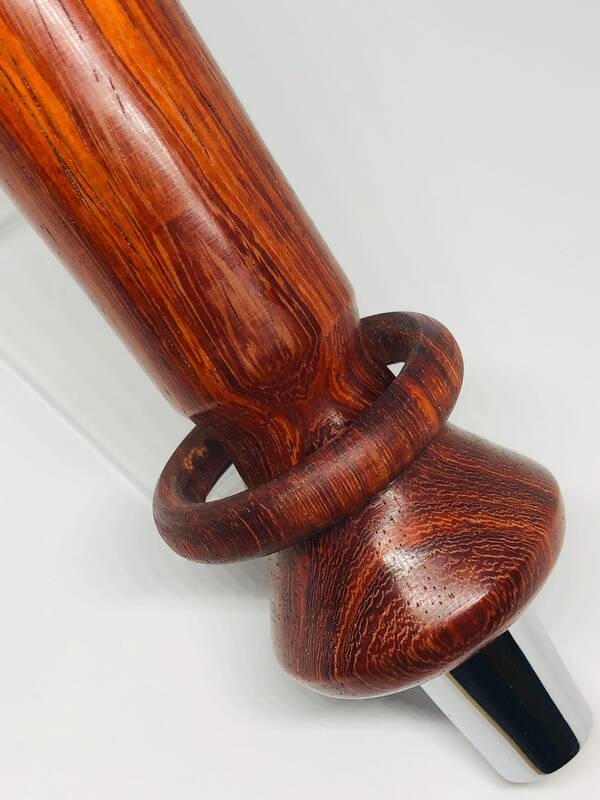 Solid wood African Padauk. 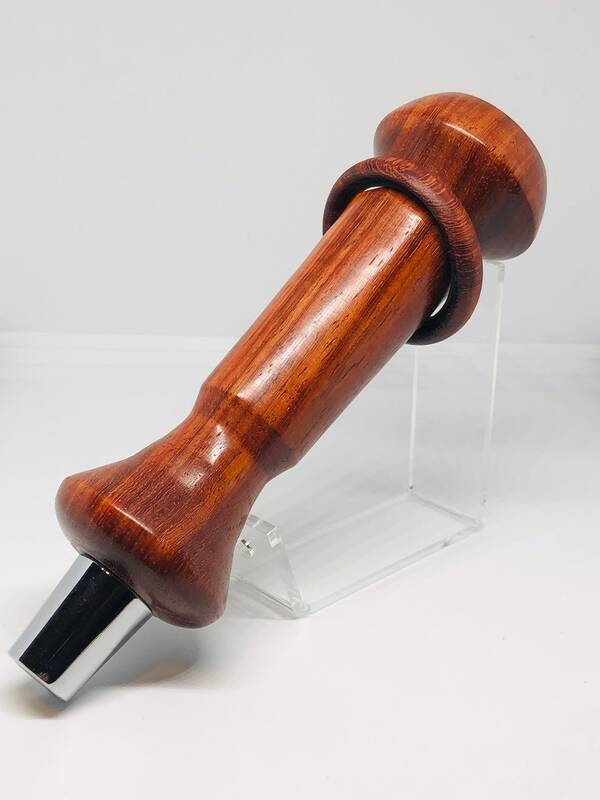 Unique style and one of a kind, with a fun captive ring around the handle. 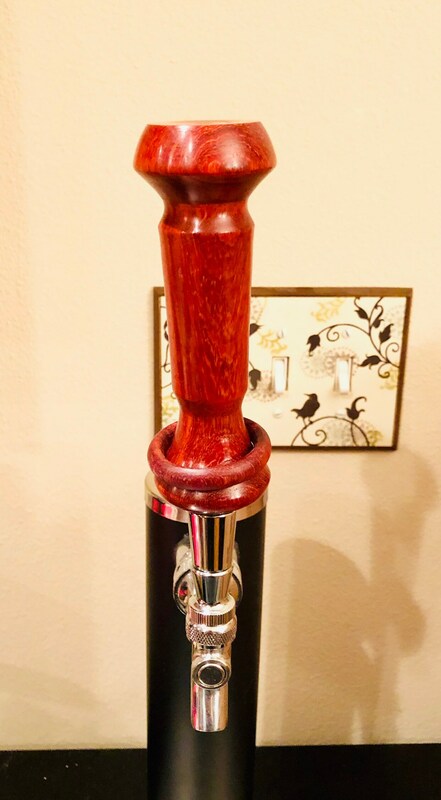 Show of some style with the vibrant red handle on your tap! 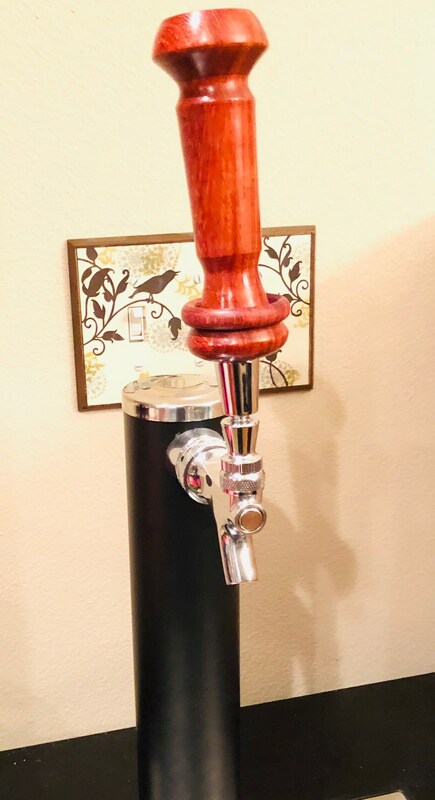 Great for tap rooms or your home setup. 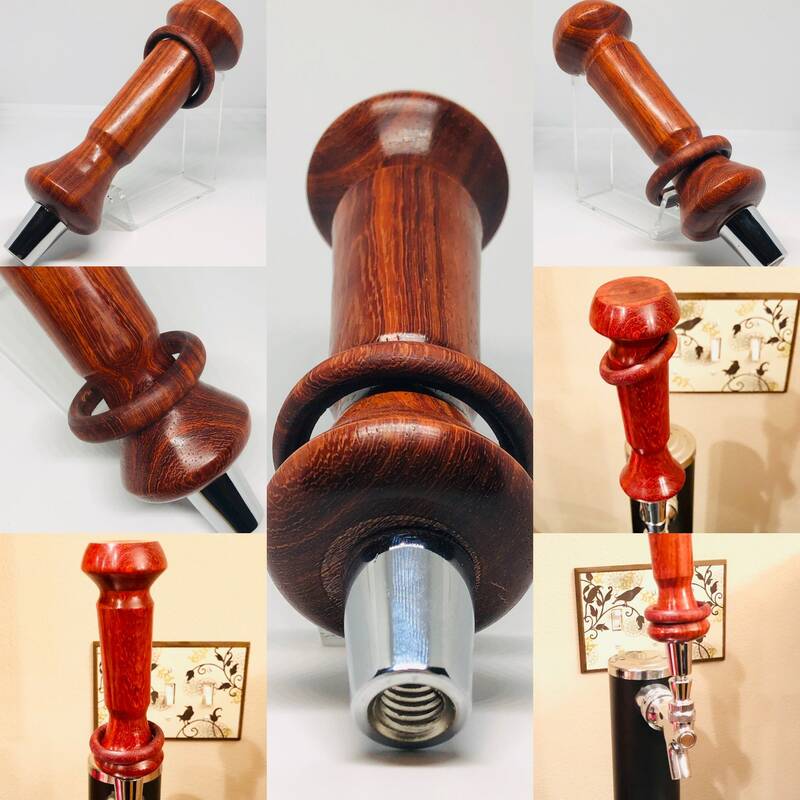 Collect a set of unique handles to show off.